What is Anxiety? All of us feel anxiety at various times in our lives. Some of the reasons we may feel anxious are when we feel out of control of a situation. Is Depression Your Constant Companion? Depression sometimes occurs because of external events. How do you know if you're depressed and not just sad? What's Normal and What's Not? When stress is not managed well, it can get out of control and can be harmful to our health. Life Transitions are changes in life. Whether they bring joy or sadness, they force us to leave behind a familiar way of life in exchange for something new. A new, drug-free, non-surgical weight loss solution! The Virtual Gastric Band is a remarkable weight loss program utilizing the concept of a “virtual” gastric band. Will I ever fall asleep? Why is sleep so elusive to many of us? Very often sleep difficulties arise when we’re worrying about something, when not feeling well, going through menopause, pregnant, or when worrying about not being about to sleep. 1- Use your bedroom and bed for sleeping only. Don’t read, watch TV, and/or eat in bed. 2- Don’t nap during the day. 3- Plan for 8 hours of sleep and go to sleep at a time which would allow for that. Going to sleep too early will make it that much for difficult to fall asleep. 4- Tell yourself that you’re going to bed to rest, don’t make sleep the goal. 5- If you become anxious because you want to sleep and can’t, get out of bed and do something that will keep you busy and distracted. Go back to bed to rest after an hour. 6- Place your clock out of sight so you can’t stare at the time. 7- Limit caffeine, including chocolate to before 3 pm. Doing the above consistently for a week to 10 days should take care of the issue. This entry was posted in Anxiety, Depression, insomnia, Life Transitions, Stress and tagged anxiety, depression, insomnia, sleep, stress on December 10, 2013 by Linda Walter, LCSW. 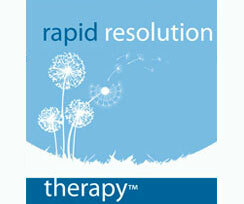 What is Rapid Resolution Therapy? Join my mailing list to receive notices of new blog articles, new eBook releases, and to stay in touch. Copyright© 2013-2016, Linda Walter, LCSW, Westchester and New York Therapist • All Rights Reserved.